Today I am going to review the Jergens Hydrating Coconut Milk Soft Body Cream! This lightweight body cream is enriched with antioxidants.Helps skin retain its natural moisture and leaves skin visibily silky and smooth. WATER, GLYCERIN, CETEARYL ALCOHOL, CETYL ESTERS, CETEARETH-20, GLYCERYL DILAURATE, CETYL ALCOHOL, MINERAL OIL, C12-15 ALKYL BENZOATE, DIMETHICONE, STEARIC ACID, METHYLPARABEN, FRAGRANCE, PHENOXYETHANOL, CARBOMER, ISOPROPYL MYRISTATE, ETHYLPARABEN, SODIUM HYDROXIDE, ARGININE, COCOS NUCIFERA (COCONUT) OIL, PROPYLENE GLYCOL, BUTYLENE GLYCOL, COCOS NUCIFERA (COCONUT) WATER, WITHANIA SOMNIFERA ROOT EXTRACT, COCOS NUCIFERA (COCONUT) FRUIT EXTRACT. With an illuminating HYDRALUCENCE® blend and nourishing Coconut Oil and ultra‐hydrating Coconut Water. 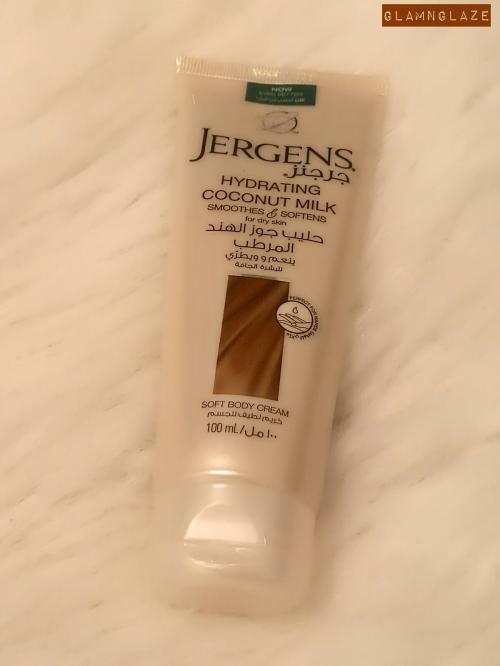 Overall it's a really nice body cream for dry skin types. 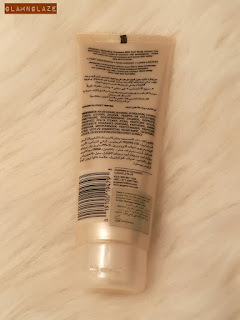 I recommend this body cream,it's great, specially for the winter-season!